It is flattering to receive a call from a company offering to help publish and market your latest book. I think that is partly the appeal and attraction leading many authors to search for a traditional or vanity publisher for their manuscript rather than pursuing a self-publishing path. It somehow validates an author to receive that call from a (seemingly) large publisher expressing interest in making the author an overnight success. 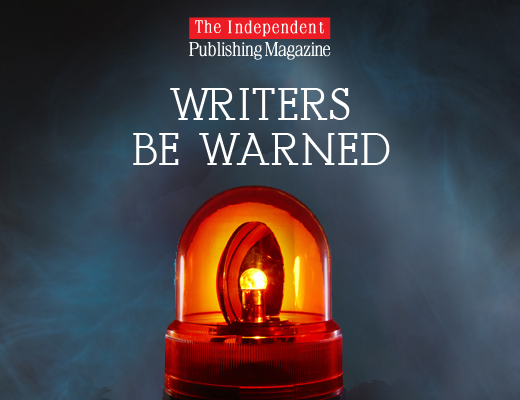 This article will shed some light on a company that is dogged by controversy involving the deceit of authors. The company at the centre of the on-going controversy is Author Solutions along with its US imprints, AuthorHouse, Xlibris, iUniverse and Trafford and several more. So you don’t recognise the names above? 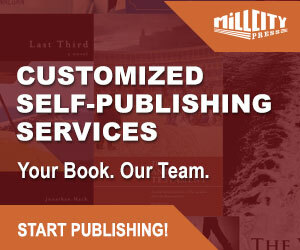 Author Solutions also has partnerships with well-known US publishers which include Archway Publishing (with Simon & Schuster), Balboa Press (with Hay House), LifeRich Publishing (with The Reader’s Digest Association), and WestBow Press (with Thomas Nelson & Zondervan). If you reside outside the US, also be aware that Author Solutions has extended its international reach by forming partnerships abroad which have resulted in companies such Balboa Press AU, Partridge Africa, Partridge India, Partridge Singapore and megustaescribir (targeting Spanish authors). This means an average of 1.25 books per author which is indicative of very little repeat-business. Looking at the sales figures released by Author Solutions whilst it was looking for a buyer in 2012, I noticed a growing list of authors paying large sums of money to a company that seems to invest most of its time on finely tuned sales pitches rather than value-for-money offerings for cash-strapped authors. The arrival of e-books has made it so much easier for first-time authors to fall prey to a smooth-talking sales person promising guaranteed sales and success. For an author, part of the (self) publishing process should mean you first research your options online. Often the companies responsible for questionable practises know this and have a well thought-out plan to capture these authors’ details whilst they are carrying out due-diligence online. Here are some of the ways that an author’s details might be captured by Author Solutions without the authors actually knowing. 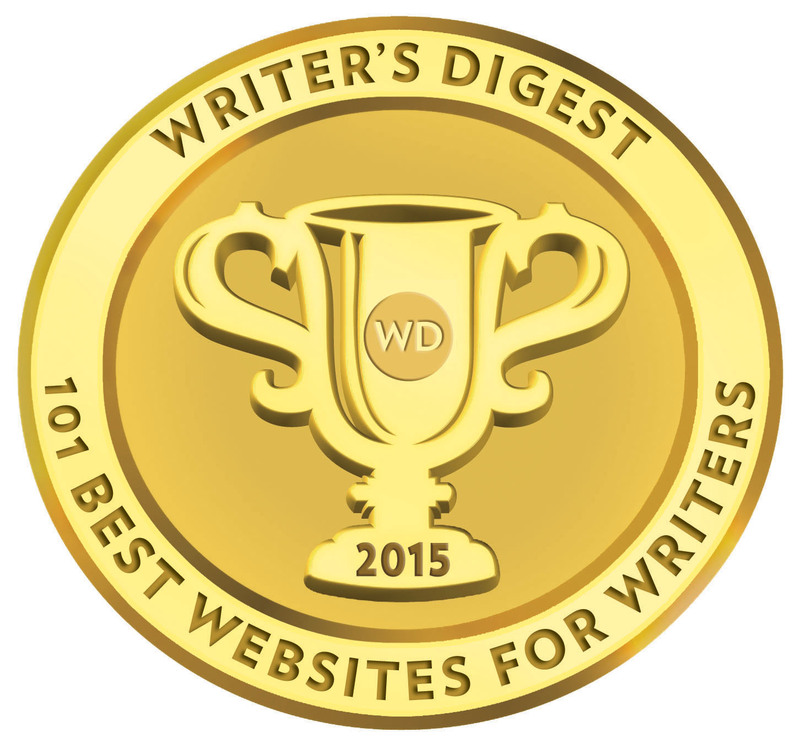 Bloggers, websites and companies are paid a bounty to deliver your details to Author Solutions. Numerous websites are set up, supposedly offering independent self-publishing advice but only recommend Author Solutions companies. Lots of money is spent on advertising through Google Adwords, driving traffic towards its websites and also making it harder to find the customer complaints online. Fake social media profiles of independent publishing consultants, who only refer people towards Author Solutions. It is fair to state that before e-books authors had less of choice as to the publishing route they might follow. This meant that companies like Author Solutions might have had more of a monopoly in self-publishing circles. Now the risk has shifted and authors should beware of paying any company for a complex-sounding service that cannot be easily explained or quantified. The author should always realise the final responsibility rests with themselves and they should never rely on a publisher to care as much for the work as they do. When entering the world of e-books and the inherent mixing of technology with the traditional world of consuming written material, it becomes easier for some authors to shy away from the learning process, dismissing the process as too hard to learn. Mention virtual book tour or Book landing page and I can picture an author’s attention slowly drifting…. imagining his or her next cup of coffee rather than an exciting technology that could boost his e-book sales. What does this mean to the authors? The interesting thing about these deceptive practices, aimed at fleecing authors, is that they are fairly well documented. Googling “Author Solutions scams” and a multitude of results detailing these deceptive practises can be seen. This great article detailing the Author House scam written by self-publishing guru David Gaughran takes a very in-depth look into how Author Solutions has been operating over the years. A quick look at the website for Partridge Africa (which targets African authors) and you will see a list of several vague services that could easily confuse even industry professionals. The self-publishing packages start at the Gold option for $399 and end up with the Platinum package costing a whopping $5999! Within the package offerings, vague sounding services like “Social Media Set-Up Guide”, “Fresco Illustration Service” and “Image Enhancement” are only some of the phrases that would have even Mark Zuckerberg on a double-take. These services might sound impressive, but what do they actually mean and how are they measured as a success? Just bear in mind that 78% of the Author Solutions staff are based in the Philippines (including the sales and marketing departments). This should give you a good idea of the level of education and literacy levels you might expect from the staff that you would be asking for help from. For many of the digitally-based services such as creating an author website, setting up a Google Adwords campaign or publicizing your new book; online platforms such as Fiverr.com and eLance.com will be perfectly suitable and will cost you a great deal less. What you as the author should keep in the back of your mind — whilst choosing who will help you navigate through the eBook publishing and marketing processes — is that if they cannot explain each and every service in a way you can easily understand, treat them like the pesky call centre consultants they are. Here is a great blog for authors looking to better protect themselves from these sorts of scams. Added protection against being taken advantage of is to keep up to date on the technologies available to help authors publish and market online. Here is a great (and free!) e-book marketing course. Conducted fully online, it would help authors to better understand essential online tools available to the adventurous author. Have you had a bad experience with someone promising you digital marketing services? Let us know via the comments section below. Born and raised in Durban, David moved to Johannesburg in 2007 to explore the opportunities in the growing technology sector. Having grown up with an author father, David’s passion for online based technology naturally drifted to online publishing and the potential wealth that was waiting for those authors brave enough to leap across the digital divide and publish into the online megastores such as Amazon. In mid-2012 David founded what is now South Africa’s largest Digital Publishing Blog: My eBook. My eBook was formed out of the need to give African authors the answers to some of the most important questions faced when self-publishing through a digital environment. 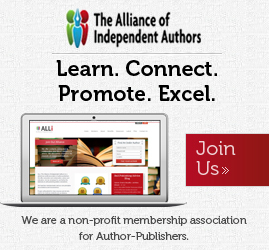 Aiming to empower authors, giving them full control of their self-publishing potential rather than relying on others to publish and market the author’s work with the same level of passion as the author could. David’s passion revolves around the education and empowerment of the local author community. He helps manage this local group on LinkedIn dedicated to local authors. I’ve heard that the market for so-called “authors’ services” is larger than first year sales of all books published; It so, that makes it a very large and apparently lucrative business. Hopefully all authors, experienced and new, will help spread the word on these scam artists. Hi Christian, I fully agree with you. Thanks for the comment! Thanks for this, youv’e just helped me make up my mind not to sign up with Partridge and Xlibris. Now my next worry – how to market the book! HAhaha! Thank you for such an insightful blog. I would really appreciate your help. I was contacted by a Publishing Consultant from Partridge Singapore – A Penguin Random House company for my first book. First, Should I trust these people with my very first book? Second, Can you suggest me any good publication house that I can trust??? Benoi Nair, don’t go to Penguin, I fell for the scam for two books. They promise so much, call you everyday suggesting what to do to sell more books etc.Now I am very upset with myself and Author House= Author solutions. They sent out a Press Release which cost me a bit, to 500 media outlets they said, and gave a list of the websites. When I asked them how I would be contacted if anyone would be interested in my story, I then found that I had to contact the journalists and follow up with them. In the end I threw my money out the window. Find someone else but be very careful. I am leaving Author House. Your comment…i almost fell for their tricks&choice words..they went as far as demanding for my credit card pin frm my acc officer all in the name of paying for a publishing package. From the very onset,i knew there was somthing fake about them..frm over 2000 staff to over 4000 staff&lastly was over3000staff..irregularity of numbers.. I was introduced to lulu.com by someone for self publishing. I sent them message via Facebook. However, I got call from a certain Marie Alfa as a representative of Partridge Africa. She hooked me up with Nelson Craig one of them. They offered such packages as 1. Basic and 2. Topaz. The Topaz which goes for $1,500 is running a program now on 50% discount. This means am to pay $799.50. The payment can either be made in 3 installments within 3 months or one off. However, I opted for a one off payment. Yesterday their finance called me and I gave them my debit card details such as name, address, card number and the reverse 3 digits. In about 2 minutes Marie Alfa called that the transaction declined so I can do bank to bank transfer next week Tuesday. Now please what do you advice me to do? This is very important to me right now. I would like n was asked to narrate what i want to write in my book on the phone which I told the person on the line that it ain’t gonna happen. I am 64 years old, I think I know enough of the world that, one does not narrate anything to anyone on the phone which will be recorded to their advantage. And of course pushing for me to sign for the cheapest package on the spot which sounds like a desperado looking for a quick buck. I would like to thank you for this article which makes me aware of what I should n should not do. Hi.. Only if you would have posted this before I signed Partridge India, I could have saved 95k. Anyway, you made things quite clear. So, thankyou very much. My experience has been very bad for all that I was promised never happened. Also, God saved me from paying another 50k +40k for marketing and other so called formalities. I paid 1.2rs I guess for editing which was done by a bunch of illiterates. At the end, I did all that I could to get it published after re reading and correcting mistakes done by those editors. I was trapped and hence, had no other option of getting it published for they had already wasted about 10 months. I would never recommend this publisher to anyone. I would have been glad if my script would have been rejected. At least, I would have saved my money. They are a bunch of cheaters who fool beginners and make money from them. I wish this publishing company shuts down due to heavy losses sometime soon and may they never be able to start up their business again. You just saved me a bundle. Thank goodness i found this website, i almost sign up for partridge singapore, im so glad, thank you very much, so where should we go to find a trusted publisher? Thank you for the insight to this bogus company. These sweet talking crooks kept coming up with more bogus offers. I’m around 4. 200$ poorer . Please help me get out of this quagmire. I just came across this article of yours while going through a very disappointing and frustrating experience with Partridge Singapore on publishing my new book. I feel stuck right now with the unprofessional and irresponsible services that provided and I have no idea how to get out of it now, can you please shield me more insight how can I deal with it. Many thanks. I just saw the mail from Partridge India official company. The moment I read the mail, first thing I did is to browse a page of this sort that finally gives the right hint to the subject matter. I understood why would a company themselves approach me to publish my books as I know writing is the the most difficult market where we can establish ourselves. I have been hitting with a publisher (Wont name for obvious reasons but a famous authentic one) since past two years with the ideal process of publishing. Reviews are under progress and am sure its a long process still since der are many aspirants in the market with great content. Creativity can never be unleashed so easily as my sensibility says. If you think you are creative, choose the toughest way to accomplish. I might take some more years to come up with my first novel story but, fight is on. I would still suggest somthing with my experience. For people who those have already paid to them, please dont lose hope. Since you have already paid, let your book come in market and let it reach to some people. If your content is good and attractive, you never know even via these methods u might reach the destination. If money is paid, hit it hard to get returns. For those who have not paid, go through the ideal process instead of such publishing houses making money for no ones good. I also had a suggestion to make a beginners community for writing. This community might serve better for several writers to associate and begin with a new establishment. We can all come across and see how we can break the bond of struggle and come up with our books together as a community. I am no businessman nor an aspirant of new entrepreneurship; I am an engineer working in Automotives and an aspirant writer. I am currently in Shanghai and would travel back to Bangalore soon in couple of months. I am working grounds to find better ways to publish ourselves. Let us come togethr and find a way out. my id is shivratanofficial1034@gmail.com. We have brains, let us brainstorm to find a fruitful ways to publish. Dude you just helped me dodge a bullet big time. Thanks. Dear Mr Handerson , I am from Malaysia and I have a 7yr old daughter who is in the autism spectrum. She recently wrote two short stories and I wanted to publish the book. I went through a few and registered but only Partridge Publishing responded. I hv paid for it and my daughter’s book has been published. Irony is that I hv not received the author copy but my cousin in UK Has received it from Amazon.com. whatever that I am reading here by the individuals and their experiences are what I am experiencing now. They are so abusive when you don’t sign up for something and get really upset. I feel so upset now that my child’s effort is being taken for a ride. The book has two different stories and the retail price is 38 Singapore dollars and converted to Malaysian is almost RM120. The prin ting cost is 15Sin dollars which amounts to Rm 45. Absolutely nonsense. I hv decided to reprint the book for malaysia distribution only. I feel so cheated now. The reason I wanted to Publush this book is to motivate parents with kids of similar condition. But now it seems to me like I need motivation. Oh god! David, you have saved me! I was being friendly with my consultant from partridge… I told her about the lawsuit cases and she gave me links to show that it has been resolved. But despite that, based on what I am seeing here, I think I would look for another publisher who would probably not cheat and abuse authors. It may take longer but it’s fine. She seemed upset when I was firm about the decision of saying no. I have been scammed by Partridge Singapore and Author Solution. I signed up for their Gold package which was originally worth $7k plus. Thanks to their ‘year end offer’, the package was then worth $5k. I had a very unpleasant experience with Partridge Singapore. Recently, Author Solution deducted the renewal fee of $200+ from my bank account despite me emailing them that I would like my subscription to be cancelled. In the end, Author Solution didn’t reply and I thought the case was closed. To my rude awakening, they deducted the fees without informing me. I am very disappointed and disgusted with their service. Beware of these scammers. I was stupid and don’t be as stupid as me! Ho boy! I got a call from Partridge Singapore despite me not sending the details manually, so that was the first sign of some foul play. Lucky me, I looked up this site. I’m a rather young man in my teens, and even I saw through the sham the moment this man (named ‘Christian’) told me not to look up the internet because they “bash the publication”. As an inexperienced person, I actually have no clue regarding how to go about self- or traditional publication, but I did dodge a huge bullet thanks to this article. Thanks, David. P.S. if any of you on this site know a reliable means of publication that goes through the right path, I’d very much appreciate your guidance. My email is broseph9890@gmail.com. I’m also a prolific young poet from Ghana, I had dealings with Partridge Africa last year, I was even preparing to send them the money for the publishing of my book. But I gave it a deep breath and a second thought, then did an extensive research about them, I found out that they’re a myriad of scammers, I thank Jehovah I didn’t fall prey to their snares! Thank you so much! I just finished my first book and am using iuniverse to publish it. It is costing quite a bit and I have no guarantees but I think that if nothing else I will get a few high quality books out of it and learn about the process. Online blogs and reviews haven’t helped as none of them are very objective. Either they are hateful or the opposite. I doubt these places would still be in business if they are as bad as most say they are. I have emailed a few traditional publishers and they don’t even respond, so the alternative to these companies (other than self publishing, which still leaves you with no promotion and totally on your own)) is to do nothing. Am I wrong? I recently experienced a nightmare with Partridge India (although I dealt directly with one of their associates in Indiana); while they offered me almost 40% discount off their published rates, but the associate kept changing the discount, as well as the terms repeatedly, and finally when I agreed upon a package, I was told that the price of said package has increased all of a sudden, without any kind of warning. As I complained against this unfair trade practices to the US authorities., they now want to go out of line to help me, which I refused. I wont refer anyone known to me to this Partridge fraudsters. 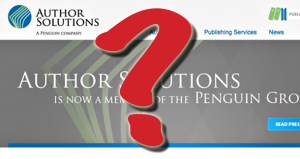 Hi – i recently just ‘bought’ the service of Patridge Publishing Singapore – if this is a scam – shall i continue? will they publish the book? or i will just need to lose the money that i have paid to them?